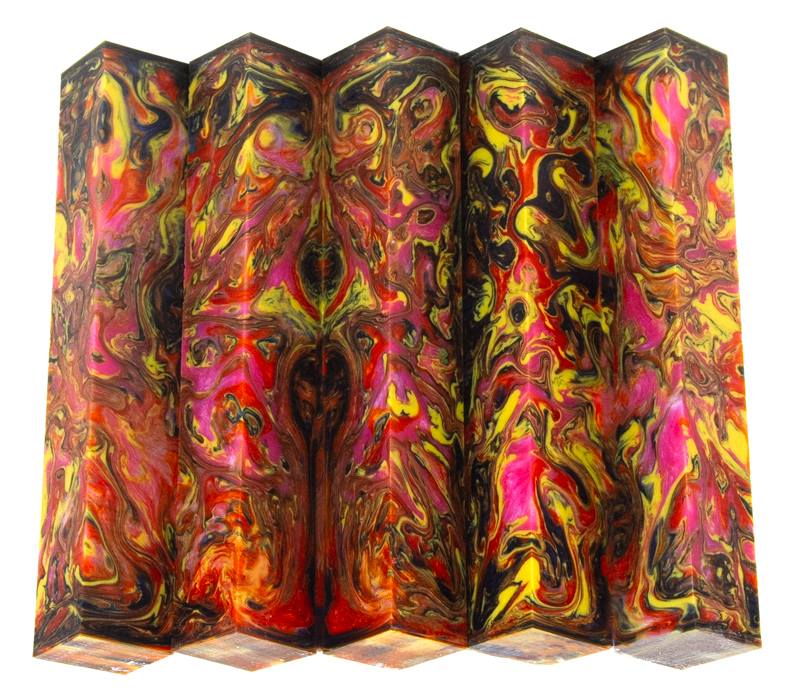 The "Quad Lava" line of blanks feature 4 colors of alumilite. Where those colors interact the color possibilities are crazy. This is the same material as all the other Lava Lamp and Lava Explosion blanks.